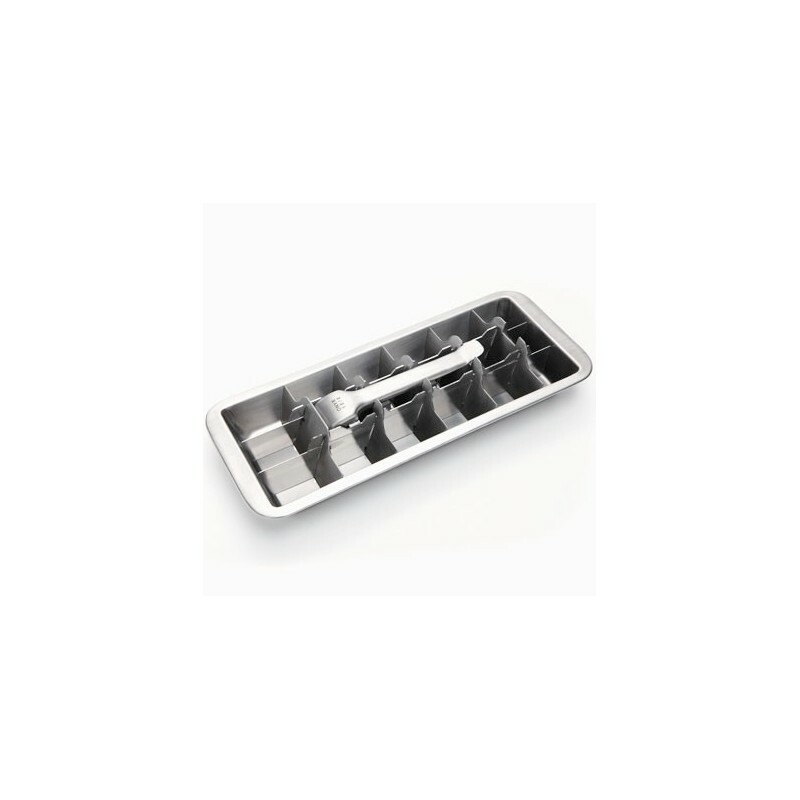 Made from heavy duty 18/8 stainless steel, this fast freeze icecube tray is easy to use, easy to clean and will last a lifetime. Classic design from the 1950's. 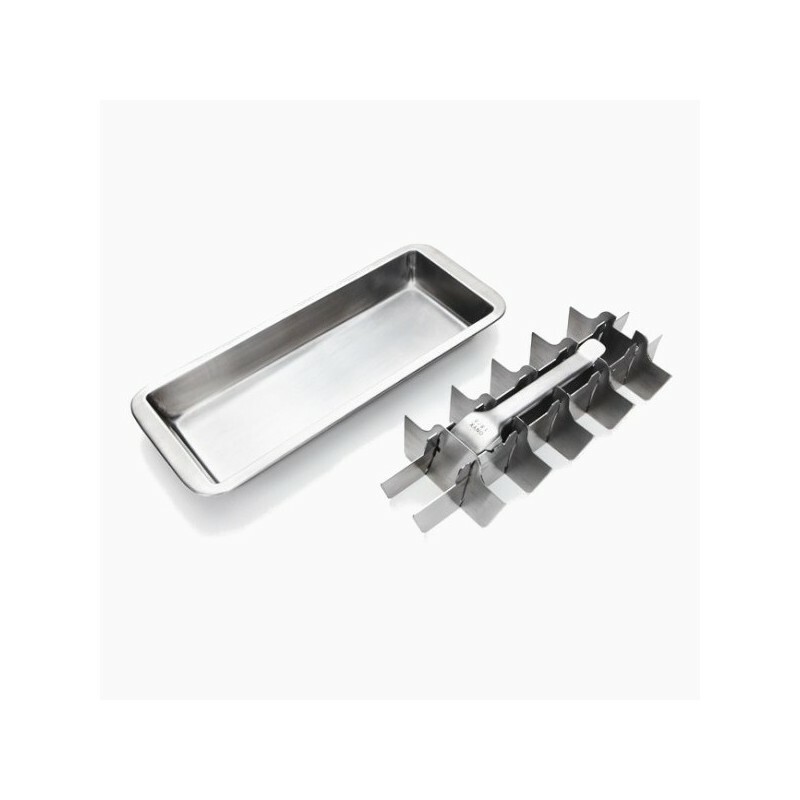 Made from heavy duty 18/8 stainless steel, this fast freeze icecube tray is easy to use, easy to clean and will last a lifetime. Fast freeze, two-part icecube tray (18 icecubes). This two-part system goes back to the trays of the 1950's. A kitchen essential, an elegantly clean and unbreakable design - no more bent, cracked & split ice cube trays leaking in the freezer! 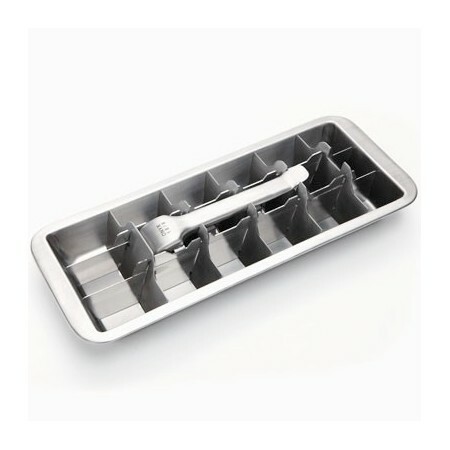 To use, simply operate the integrated lever, which quickly and easily releases the ice cubes perfectly. The trays also stack neatly on top of one another in the freezer. Have used this over and over and over again, showing no signs of wear. Excellent quality and definitely an investment to last for many years and maybe even generations like the old stainless steel ice trays did. I love this ice cube tray. It is little hard to break the ice with the lever but once you get the hang of it it is worth it. It looks great, is lasting well and doesn't impart any flavour. I have also used it for freezing cubes of yogurt and it was great for that too.